Rosie Tadman (DipCNM, BANT and CNHC Reg) is a Nutritional Therapist who studied at the prestigious College of Natural Medicine, in London. Rosie now has a home clinic in Chorlton, Manchester. 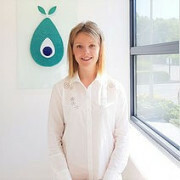 Rosie uses Modern Science + Traditional Wisdom to get women in hormonal flow and support couples to conceive. She supports underlying causes, rather than just suppressing symptoms. Would you like to support their body naturally in preparation for IVF, IUI or ICSI? Rosie also supports Men in improving their sperm count, motility and morphology.